How much does it cost to travel to Newcastle? How much money will you need in Newcastle? AU$112 ($80) is the average daily price for traveling in Newcastle. The average price of food for one day is AU$43 ($31). The average price of a hotel for a couple is AU$110 ($79). Additional pricing is in the table below. These average travel prices have been collected from other travelers to help you plan your own travel budget. Newcastle is 150 kilometers north of Sydney in New South Wales. It is also the second largest city in the state, and serves as a central point to explore the area's beaches, wineries, and beautiful natural landscape. North of the city is Stockton beach, which has many miles of isolated, beautiful beaches, stretching all the way up to Nelson Bay. The wineries are inland to the west and have some of Australia's finest wine which you can taste. If you want to see rainforests, you can head northwest to Barrington Tops National Park, which has great rainforests and freshwater streams. You may even get to see a platypus. The city also has the country's oldest sea port. In the past the city's economy was centered around the steel industry, but today the University of Newcastle is one of the area's most important employers. Newcastle has an oceanic/humid subtropical climate. The weather is similar to the rest of central and northern New South Wales with summers that are warm and winters that are mild. Rains are heaviest during the late fall and early winter months. If you're interested in the area's history then Fort Scratchley has a military museum that is well done. The fort is open to the public and there are views to the north of town. Newcastle Region Art Gallery has a great collection of local art and several traveling exhibits. King Edward Park is a great place to enjoy a picnic with nice views of the ocean. As a large metropolitan area, there are many suburbs and neighborhoods in Newcastle. The city is located on the southern bank of the Hunter River mouth. There is a green belt to the west of the city that protects the area's plant and wildlife. The town of Stockton is opposite central Newcastle and is linked by ferry. 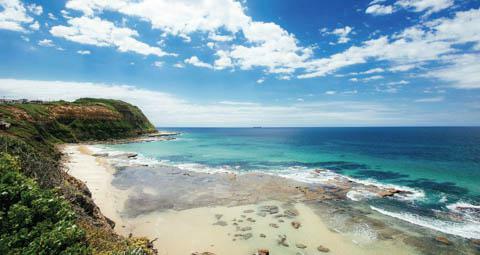 Popular beaches in Newcastle include Bar Beach, Redhead Beach, and Nobbys Beach. Bar Beach is considered one of the best but it can get crowded during peak times. Redhead Beach is a little further out and Nobbys Beach is a great place to swim. If you're visiting Newcastle during the warm months then you must take a swim in the ocean baths. Options include Newcastle Ocean Baths, Merewether Ocean Baths, and the Bogey Hole. If you're really looking to experience the community, buy tickets to one of the sporting events, as most locals are avid sports fans. Consider going to watch the Newcastle Knights rugby team, or you could find tickets to football (soccer), ice hockey or even a netball game. Popular festivals in Newcastle include the Mattara Festival, This is Not Art Festival, Surfest, The Shoot Out, Carols by Candlelight, and Cultural Stomp. Like any big city, you'll find a variety of restaurants in Newcastle. If you're really on a tight budget, fast food options abound and are likely to be the cheapest available food. You can also find affordable pizza and sandwiches around town. Other options, if you're willing to spend more money, include seafood, Chinese, and Thai, among many other things. There are also plenty of bars where you can grab a drink, and some good clubs with dancing and drinks. Many of the city's restaurants are located along either Beaumont Street in Hamilton or Darby Street in Cooks Hill. There are also many cafes in these areas where you can grab a quick bite to eat or a coffee. You can travel around Newcastle on buses and ferries, but if you really want to see everything that the area has to offer, you do need a car. There are plenty of car rental companies around town and the prices are generally competitive. If you plan to travel by bus, the tickets are sold with time-based prices. You can buy tickets that are valid for a set amount of time, including 1 hour, 4 hour, and 24 hour time periods. During that time period you can ride the bus as many times as you wish without paying a transfer fee. The buses typically start at a bus terminal near Newcastle railway station, which is on the waterfront of Newcastle's central business district. There are also major bus stations at the University of Newcastle, Wallsend, Glendale, Warners Bay, Belmont, Charlestown, Westfield Kotara, and Broadmeadow Station.